Etiquette in the 18th century required a lady’s hands to be covered at all times outdoors and in mixed company indoors. Gloves and mittens were essential accessories and most aristocratic women owned dozens of pairs. Mittens were popular as they covered the backs of the hands, but left the thumb and fingers free to do needlework or play cards. As an inexpensive alternative to leather, many gloves and mittens were made of silk in a variety of colours to complement gowns and other accessories. 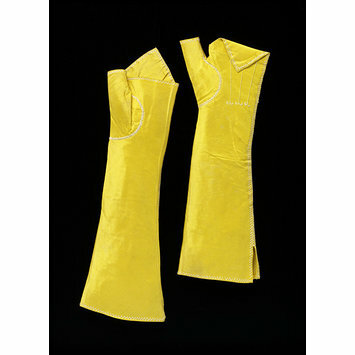 This pair of mittens in bright yellow taffeta is typical in shape and construction. They have a separate thumb and an elegant point at the back of the hand. Following the style of leather gloves, there are three ‘points’ or narrow lines raised with stitching in white silk thread. All the seams have been embroidered over in herring-bone stitch in white silk. 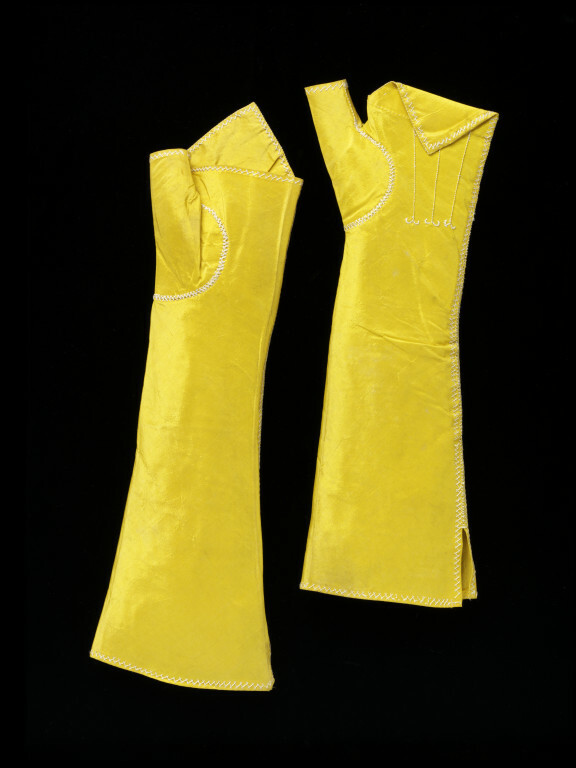 A pair of women's elbow-length mittens in yellow taffeta with gusset thumb and a point at the back of the hand. The seams are embroidered over in herringbone stitch with white silk. The points are raised with outline stitch in white silk. 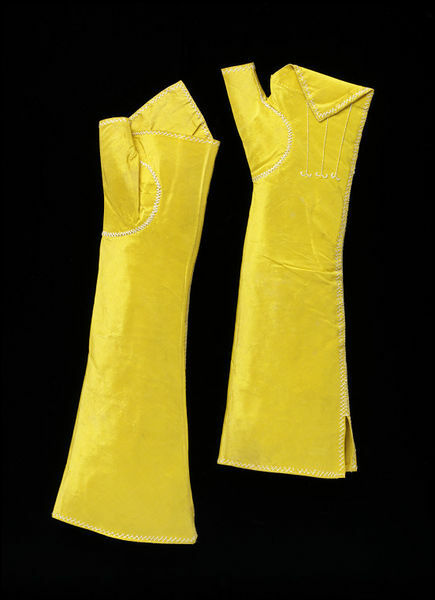 Pair of taffeta mittens, Great Britain, 1780-1800.